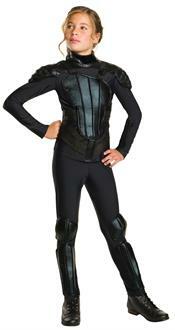 This costume includes a top with attached armour, pants with attached knee and shin guards, and a Mockingjay pin. Does not include shoes. This is an officially licensed Hunger Games costume.